Potty mouth Kiwi’s 1 – Proteas 1 & Super Rugby is back! It was an obvious tactic by the Black Caps to verbally pressure the young Proteas side into submission, especially with the experienced campaigners like Kallis and Smith not playing. One wondered if they would be able to withstand the verbal onslaught of which the Kiwi’s are masters – yes, they are even better sledgers than the Aussies. I realise it was described, discussed and analysed in many other media formats but just how good was young Levi’s performance? Sensational, brutal and just plain jaw dropping awesome! The counter punch from the Proteas/Levi on Sunday stunned the Kiwi’s and created the opportunity to properly dent their confidence by following up with a solid knockout performance in the final of the three T20’s. The test will be to see if AB and co are able to follow up on Sunday’s performance. In the Proteas favour though is Gary Kirsten’s experience of the Kiwi’s and their tactics as he was on the last tour of New Zealand in 2004 (which was, incidentally, his final tour before he retired). The benefit of having Alan Donald in the coaching team will also be of huge value, not just for his experience and knowledge of the game but for the inside track he will be able to provide as he was part of the New Zealand set-up not too long ago. In my view, the answer is a solid YES – they can follow it up. Although Levi was the main weapon of mass destruction in the 2nd T20 the Proteas boast many other big guns like Albie Morkel who are just aching to get at the Kiwi’s on this tour. Amper nog lekkerder was Southee se suur gesig toe Levi hom so paar voet bo die grond sloeg vir ses. 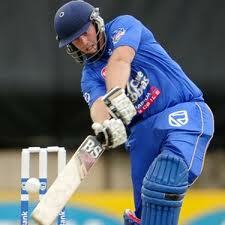 Mens kon nie hoor wat hy kwytraak nie, maar, wat dit ookal was, dit was game set and match vir Levi. 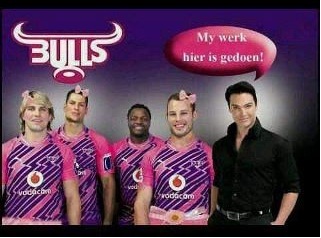 Vat so, Katvis! Our first preview of this coming weekend’s matches will appear in Thursday’s Moonstone Monitor. Looking at the final squads selected, it is very obvious that this is the year after RWC. Many teams are re-building from scratch while others are trying to fill the gaps left by senior players who left for greener pastures. Not all these senior players are over-the-hill has-beens. All three nations have seen players with long international careers ahead of them depart for places like Japan and Europe. Jacque Fourie and Frans Steyn are but two local examples of players who add a tremendous amount of sparkle to the game, but who will not be seen in the Super series. Is the series not becoming too much of a drain on the life span of a player’s career? In my view, the answer is yes. Today’s players must weigh up the benefits of a few concentrated seasons versus a lengthened career, spanning several seasons more than they would be able to play. Taking into account our previous coach’s wise words that rugby is a contact sport, and not ballet, the ever present risk of injury always lurks at the back of one’s mind. It is quite startling to see how long Juan Smith and Heinrich Brüssow spent on a recovery program. I seem to think that previously, these guys just landed on the scrap heap and had to fend for themselves. I regularly see several older Springboks limping along, the result of injuries sustained during their careers. Coming back to the Super Series: the number of teams should be reduced, not increased. Cast your mind back to last year. The last four or five weeks were really a drag, because those teams at the bottom were just going through the motions. I would prefer seeing a Super Nine Series. There is a local knock-out between (yes!) six franchises, with the top three representing South Africa against the top three in NZ and Australia on a home and away basis. The only objection to this could be the loss of revenue for the powers that be. What was I thinking? Silly old me. Golf: Sunshine Tour – Dimension Data Pro-Am, George. 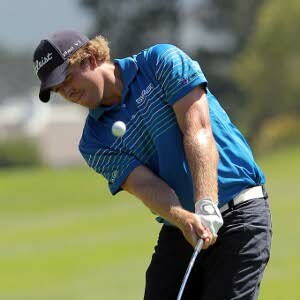 Congratulations to Oliver Bekker, the son of Moonstone Director Hjalmar Bekker, on winning the Dimension Data Pro-Am. This the second of his professional golfing titles was well earned amongst a strong international field on the testing courses at Fancourt in George over the weekend. Hjalmar was there to support him, and phoned in early to say that he was only driving back this morning. So would I, if there was that much to celebrate! If this is how you like your steak done, you may find the new Bulls jersey for their away games attractive. Those not particularly supportive of the side, are having a field day. 1) One lucky season ticket holder will win a free make-over during half time of each match. 2) Fans will no longer be allowed to braai before kick-off, instead fondue stations will be available for snacks. 3) The beer tent will no longer sell beer, but a wide variety of fruity drinks will be available. 4) The dancing girls will be replaced by a French poodle parade. 5) The man of the match will not receive a trophy, but rather a subscription to House and Home magazine. 6) The yellow card area will not be referred to as the sin bin, but will now be known as the temper tantrum tank. 7) The stadium will change from the Bull-Ring to the Fairy Garden. 8) The new mascot will be Lady the French Poodle. 9) A booth will be provided to exchange those dangerous horned helmets for the more appropriate silk scarf.